Bill Stillwagon is an amazing model car builder. 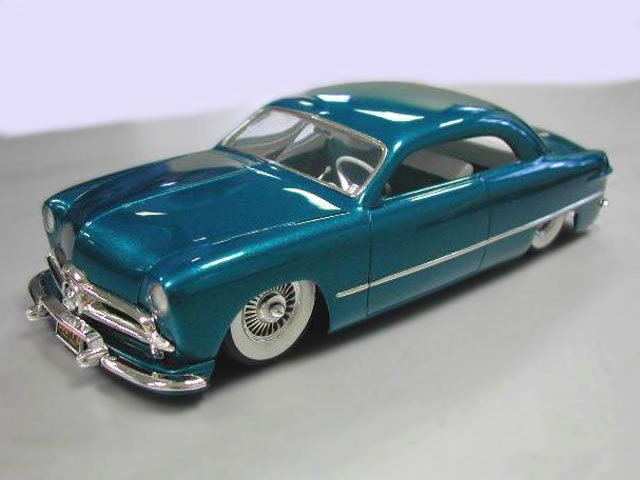 With a modest parts selection, some paint, and his innate talent for slicing and dicing plastic, he creates astounding customs such as this 1949 Ford. Up front you can readily spot the peaked hood and AMT 1956 Ford headlights.